Predictions at the start of a game are based on past performances and are updated as each minute of game times passes to reflect events as they happen, such as points scored. 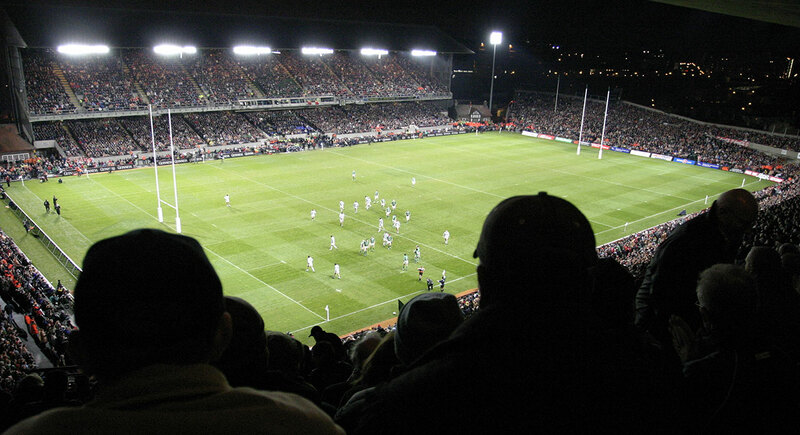 Rugby Vision will make live predictions for major games. Contact us via the form below if you would like to include in-play predictions in your game coverage. Publications and media reports related to Rugby Vision Designed by a MIT economist, Rugby Vision (RV) is a suite of statistical models that predicts outcomes for major rugby competitions. For each game, RV calculates the expected score margin and the probability of each team winning. RV also calculates the probability of each team obtaining various milestones in a tournament. For more on RV’s methods, see our Rugby World Cup overview. Before ‘betting the farm’ on Rugby Vision’s predictions, remember that 22/22 vision is like looking into the future while wearing someone else’s glasses: sometimes you get the right prescription, but occasionally it is like trying to focus after being steamrolled by Julian Savea!